Every November is the month when NaNoWriMo hosts its month-long writing event where authors attempt to write an entire first draft of a book over 30 days. NaNoWriMo stand for National Novel Writing Month and anyone can join. NaNoWriMo teams with Scrivener to encourage the effort and you can begin preparation with some learning and preparation that can carry you through the month of writing. NaNoWriMo takes some preparation since you need to do what it takes to develop your upcoming book so you can write on day 1 without hesitation. Need to outline? Scrivener makes that easy since development is one of the main strengths. Developing characters? The novel template has pre-set folders to write character sketches. In fact, the Research folder is chocked full of resources to help you get jump started. If you are new to Scrivener and think you don’t have time to learn it and be effective, never fear. Scrivener has some great video resources for learning the software. But today is the day to start using Scrivener so you can get ready for day 1. It’s just essential for a writer. The Layout Manager is important to use. You can set the appearance of your Scrivener application just how you want it to best suit your writing style. And remember, it’s time to write so stick to your layout day after day. Use document templates – this is important as you develop your book. Before creating your documents, make a document template once by configuring a template folder. Then create all your planned document containers from your template before you get started. Don’t know what to include in a document template? Here are some suggestions. Use the Outliner and Binder as part of your development process. These are great tools to prepare for your month of book writing. When it comes to the binder you can re-organize those document containers to best suit the structure you want. Move them around as part of your preparation to get to the best order of scenes and chapters. Need to keep your muse going? Set a writing background each day that helps you stay creatively focused. Track your overall and daily progress – it’s simple, use the Project Targets tool to help you. Use the Inspector bar to see the Index card while you write. There are other tools that can be handy on the Inspector bar. The Notes tool can be useful to remind yourself of ideas for the next day or thoughts about what you were doing and thinking when you stopped. Hey, things are a blur when you’re writing this much so help yourself out! Make sure to keep your novel project in development open even if your writing in a journal. If you start having developmental ideas, keep writing where you are rather than breaking your concentration. Then use the Scratchpad to transfer your idea(s) to the project wherever you want it to land. Use the Binder to start creating your chapter folders. Create all your chapters and from the Corkboard name them and even add a few details on the Index Card. Here’s where those notes from the Research folder come in handy. Play around with dragging chapters in different orders to determine the best way to structure your book. Create Document Templates – Yes, I included this above, but it’s important to repeat. They can be that much of a time-saver. Next, create individual scenes using your document template(s) with document containers in each chapter. Again, you can view these in the Corkboard for each chapter. At this point, examine what you intend with these scenes and assess whether you have them in the correct order within the chapter – or even if they are in the correct chapter. Drag around as necessary. Next, check your book organization with the Outliner. Where’s that? At the top middle of Scrivener you will see three buttons from left to right these are the Editor, Corkboard and Outliner. Click on Outliner and you’ll see all your chapters displayed with notes. You can also view each chapter with Outliner and see those details. I’ll share more about using the Outliner next week. At this point, you have the basic, intended structure of your book, created a project already and begun a synopsis with some ideas on structure. As you continue this development over the next few weeks, add your chapter structure in the binder and also use some other features to prepare for NaNoWriMo. I’ll share some other features next time which may help you finish strong. 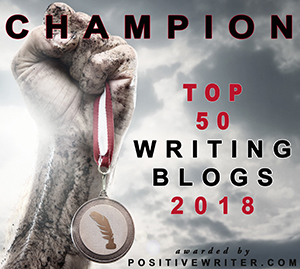 Are you in NaNoWriMo yet? If so, what are you doing to prepare? Please share your thoughts and ideas in the comments section. ← What is your favorite setting for a novel? I use Scrivener for my projects. I find it extremely useful. In addition to my fiction writing, I used it for a church organization cookbook. It worked beautifully. I’m not sure if I will be doing NaNo or not yet, but if I do, I will most definitely be using Scrivener. Good to hear. Thanks for the comment today. I didn’t enter NaNoMo this year, but I would love to use the month to knock out 50K on my WIP. That would wrap the book for me, if I could just turn off this darn internal editor. I did it once before when I wrote A Thousand Yesteryears, but haven’t been able to do it again. Maybe this November will be the gem! Just write! Don’t look back. NaNoWriMo is just around the corner. Plan for success in November with Scrivener. Here’s how with a new post from Story Empire. I really miss the “Project Notes” feature in the old version, but I’ve created a workaround that suits me (so I can have my entire outline visible in addition to current scene notes). I’ve never done NaNo, but I write a lot more than 50K word/month, and I can tell you—it would be a lot harder to do without Scrivener. Scrivener keeps you moving with good planning. I’m editing and dictating on existing projects for a while. Great tips, P. H. I use many of these features each time with Scrivener – the index card, document/project notes, the word count/project goal. Good luck to all the NaNoers out there! I use them too, Joan, but some thinking ahead with using them helps keep you moving. Best wishes for anyone in for the month of writing. I’m not in it either. I never seem to be in sync to be in it. Scrivener is so important to me like it is for you. That could terrible really helps. Thanks for the comment.